Our latest homify 360° highlight comes to us from Cape Town-based firm Covet Design, who was charged with the responsibility of completely renovating an old Victorian row house. Seems like quite a challenge, yet the professionals in charge showed us what they are capable of by treating the abode to new colours, materials, patterns, décor touches, and a bunch of other elements to firmly pull this home into the 21st century. Picturesque, charming and colourful – those are just some of the words we’d use to describe that delightful front façade. Decked out in the classic style and flaunting a nice selection of soft pastels, the little house looks most welcoming. Let’s see what the interiors are up to. The soft and serene look continues stunningly into the kitchen, where light turquoise hues adorn décor pieces, crockery and ceiling pendants – which become most prominent thanks to the neutral-toned colour palette styling up the rest of the space. 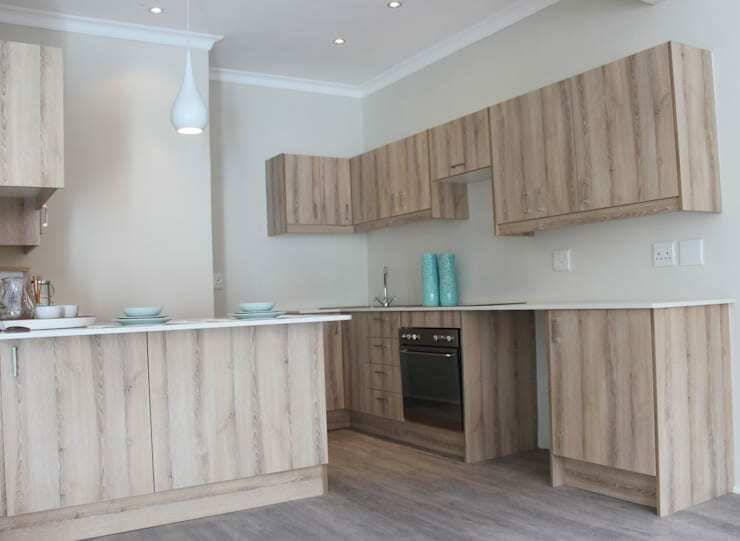 See the fantastic result achieved by having the floor and cabinetry all sport the same wooden material and look, making it feel as if those cabinets are rising up out of the floor. And seeing as those turquoise colours were so successful in the kitchen, it was decided to bring them back for both bathrooms. Here in the first one, we get a sleek shower layout with a glass pane to neatly separate it from the adjoining vanity and sink while taking up the minimum amount of space. 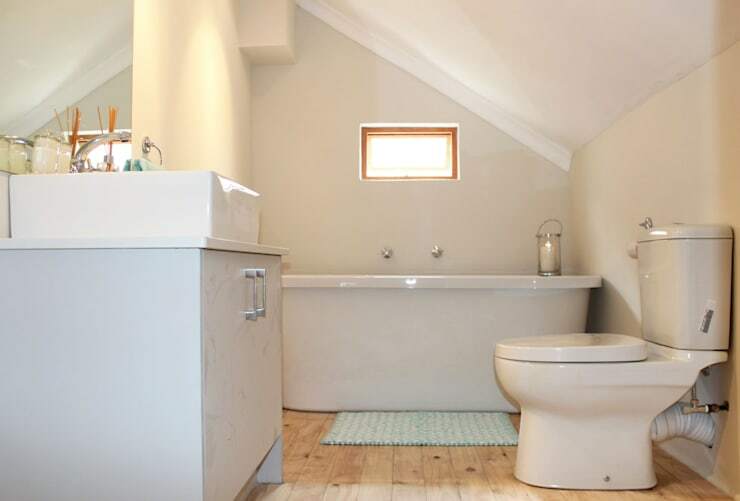 The second bathroom opted for a free-standing tub. 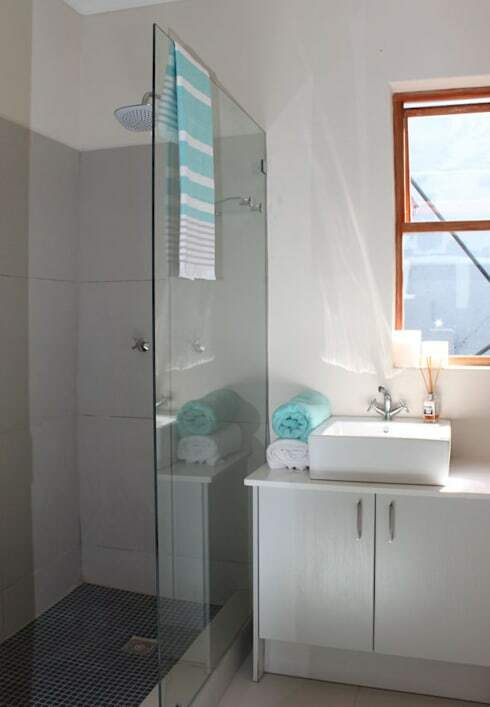 And thanks to the light colour palette and the décor taking on an almost minimalist-style look, this cleansing space looks just as clean, open and smooth as one could want for a bathroom. 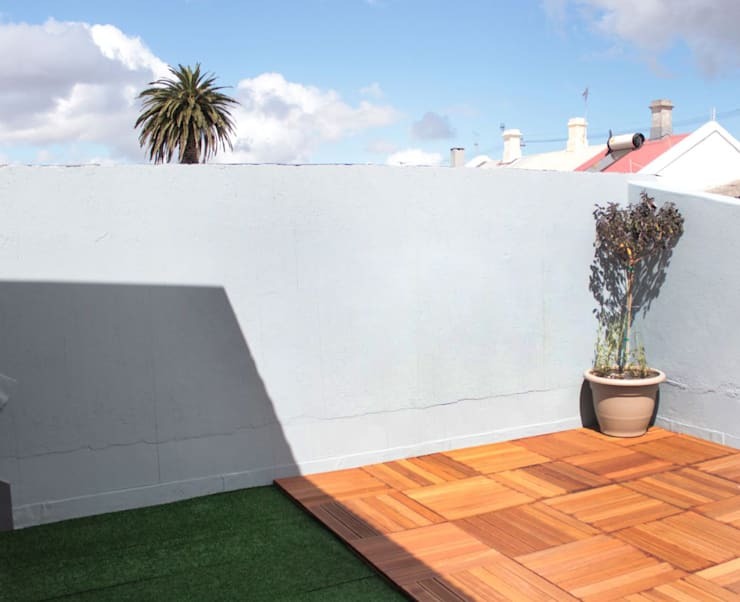 Before we depart, we take one quick look at the modest back yard, where artificial turf injects the necessary greenness and lushness into the space. Paired with a timber deck in a warm wooden hue, this backyard area provides quite the decent little spot for some relaxation, dolled up ever so slightly by the potted plant and grey-blue hue splashed across the wall. Variety is the spice of life, they say. 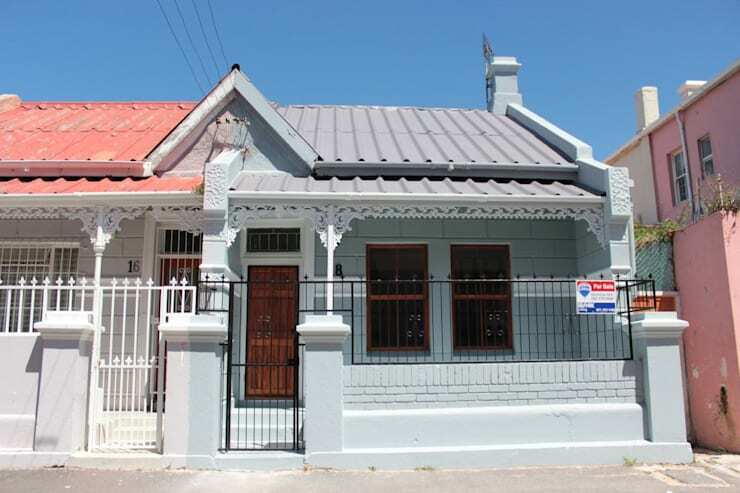 So, let’s switch things up by checking out A beautiful Johannesburg mansion.